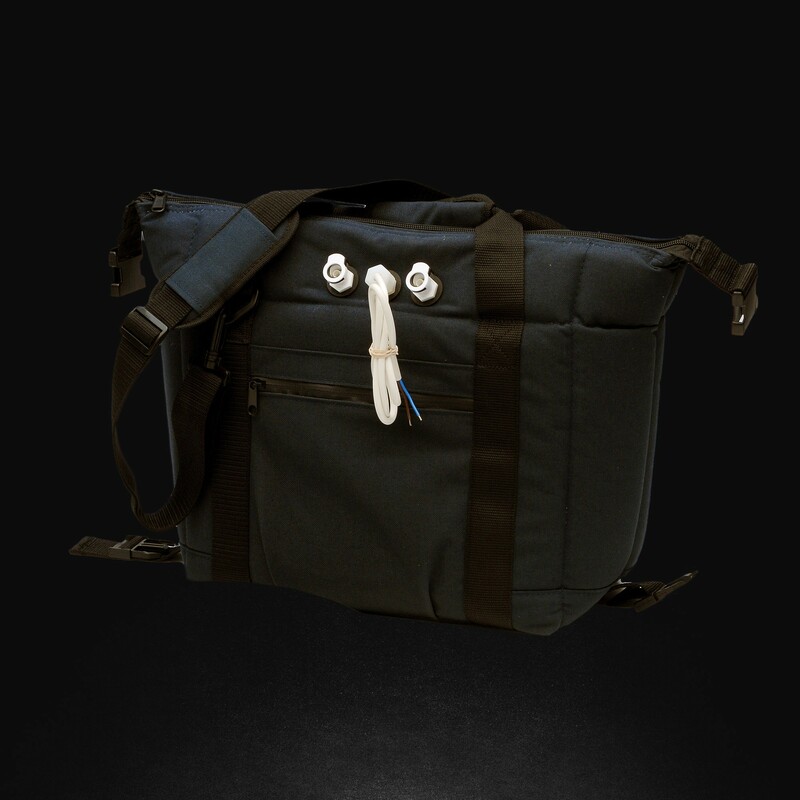 Water cooling system portable flexible bag - This Cool Shirt portable bag system utilizes a lightweight, waterproof canvas denier bag with an internal 12 V pump to supply refrigerated water to cooling underwear. Developed for use in all types of racing, they provide a cooling alternative to the driver that has limited space with no room for the standard larger hard coolers. Stay cool and mentally alert right through the final laps of the race using one of these Cool Shirt portable bag systems.